JOIN THE RIABU COMMUNITY NOW! Acknowledge your fastest-paying customers by giving them a rating of 1-5 RIABU stars for prompt payments and transparent payment processes. Submit details about as many customers as you wish. Better still: Connect to Xero or QuickBooks to automatically provide details to the RIABU Community. The learnings in our RIABU Academy are based on decades of market-proven techniques which are usually applied by Multi-National Companies. 1. Do you have a detailed "how to get paid" (aka credit) policy? 2.Has your "how to get paid" policy document been sent to all your customers? 3. Do your invoices clearly state payment terms? 4. Do you make early calls to your top 20% of customers? 5. Have you trained your collections team in how to make proactive calls? 6. Do you track how long it takes to resolve invoice discrepancies? 7.Do you assess your sales team on the payment performance of their accounts? 8.Has your sales team been trained on the importance of timely collections? How much could you be saving in interest on your overdraft or working capital loan, if you got your receivables under control? Network with other companies in your industry. See when your competitors get paid. Find out whether your customers have placed your invoices at the top of the pile – or at the bottom! Get paid faster and avoid bad credit decisions. Be part of the movement to level the playing field for SMEs! Find out what you can do to ensure your customers pay you on time. Find out what you can do to deprive your customers of any excuse to pay you. The learnings in our RIABU Academy are based on decades of market-proven techniques which are usually applied by Multi-National Companies. Chasing customers for payment is time-consuming and frustrating. LiveChat with us and get one-onone expert advice that's guaranteed to help you turbocharge order-to-cash. We have your best interests at heart. We do not loan money or factor invoices. RIABU helps companies of all sizes – but especially SMEs – be first in line to get paid. We provide you with insights into the past payment conduct of prospects and customers, and how long they are likely to take to pay their invoices, based on the experiences of other suppliers. RIABU also helps you to get paid on time in the future, by giving you access to the RIABU Academy. There you can find expert advice, best practice guides and peer forums to improve your policies and processes and ensure you get paid faster. RIABU is an ancient Akkadian word meaning “fair compensation”: we want you to get paid on time. We are advocates for SMEs, who often get a poor deal. Above all, we DO NOT lend money or factor invoices. We want to put our experience at your disposal and help you to get what you are owed, on time, so you are NOT forced to borrow more. RIABU is for companies large and small, but especially SMEs, sole traders, freelancers – anyone who wants to know the likely time frame for getting paid before deciding whether to supply a product or service to a customer, and to know what to do when they find they are being paid late. RIABU asks you to give your customers a rating and share their past payment track record. By aggregating this data anonymously, RIABU can tell you when the customer is likely to settle their invoices. By answering a few questions, RIABU can also tell you what you need to do to get paid faster. What information does RIABU collect? By contributing information about your customers' payment conduct, you help other suppliers decide whether to provide products and services to them, and on what terms. To rate a customer, you will be prompted for certain details about the invoices you issued. We DO NOT need to know the amount of the invoice, the identity of your contact person at the company, or itemised details about the products or services you provided. You can provide the payment track record of as many customers and as many invoices as you wish. The more you contribute, the more you help the RIABU community globally, and level the playing field for SMEs. Better still: Connect to Xero or QuickBooks to automatically provide details to the RIABU Community. How does RIABU use the information I submit? What if no one has provided a review of a customer I searched for? Be the first to provide a review. How accurate is RIABU data? We combine data which users like you provide, with other industry databases to which we have access, both within Singapore and more widely. We aim to be current and accurate for your industry. To get a better result it is useful for you to contribute payment conduct data, and ensure it is entered accurately. We do not check the accuracy, and make no warranty that the payment track record data is correct. Can I delete my RIABU account, and all the information I provided? Yes. Just email us at register@riabu.com. How much does RIABU cost? Registration to RIABU is free during beta testing. 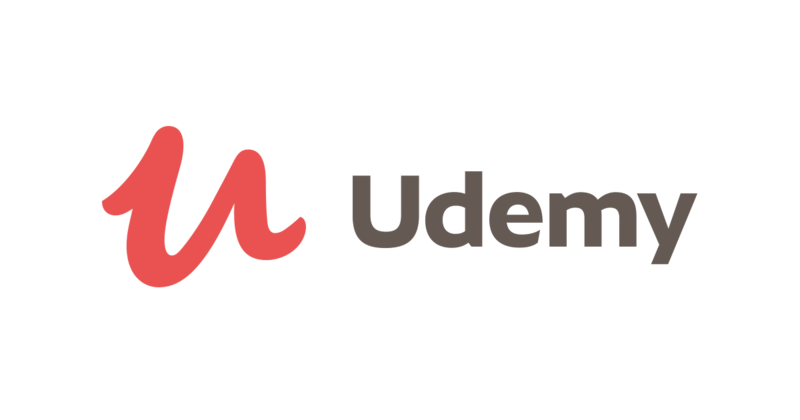 Some services, such as our Udemy course, is chargeable. Prices are clearly shown when you sign up. Copyright © 2019 Riabu LLP All rights reserved. We believe in fair payment practices, and are committed to putting our deep receivables knowledge at your service. Claim your company, and let suppliers know your payables policy, and what you expect from suppliers when submitting invoices to you. We will respond within two (2) working days. You may only claim your company if you are directly responsible for Accounts Payable. Foster better communication with your suppliers. Claim your company and complete your profile NOW! Thank you for being part of the CreditMark community. As a member, you play a critically important part in getting companies like yours paid faster. Every time you share just a few details about your invoices to your customers below, you are bringing the community one step closer to better cash flow. The information you provide is aggregated with our existing crowdsourced data. Your details will not be shared. First, tell us a few details about your customer. I confirm that I issued my invoice in accordance with the instructions of the customer. I confirm that the products/services were delivered according to specifications. *Your Invoice to the customer was due after.